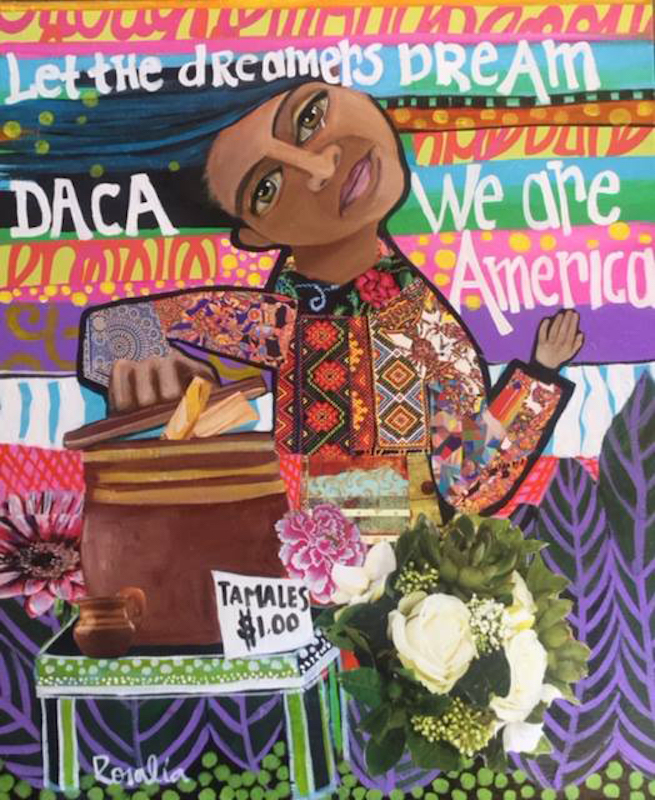 Jessica, painting by Rosalía Torres-Weiner, Charlotte, North Carolina. 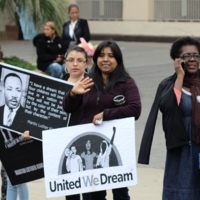 In the summer of 2012, the Federal Government began offering relief from deportation and two-year work permits to thousands of undocumented young adults who were brought to the United States as children. 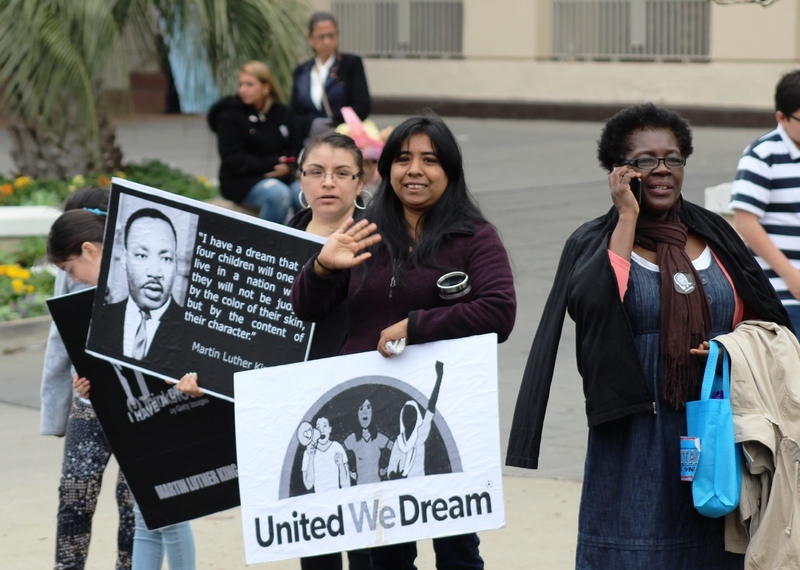 The Obama Administration announced the Deferred Action for Childhood Arrivals (DACA) policy in response to Congress’s failure to pass the more comprehensive Development, Relief and Education for Alien Minors Act (DREAM Act). The debates around DACA and the DREAM Act put national attention on the struggles of the "Dreamers"—the young immigrants who face barriers in education and employment despite identifying as Americans. 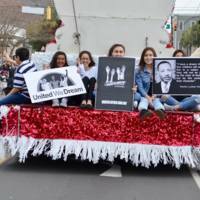 About 6,400 young immigrants residing in South Carolina were granted DACA status after undergoing a strict vetting process. In addition to DACA recipients paying a $495 fee as part of their application process, they also pay federal and state taxes. They must reapply every two years, and their renewal is not gauranteed. Their participation in the work force contributes positively to the local and national economies. However, until legislation is passed granting them permanent protection, their futures remain precarious. 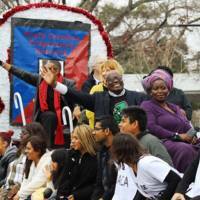 Parade participants attending the Martin Luther King Jr. 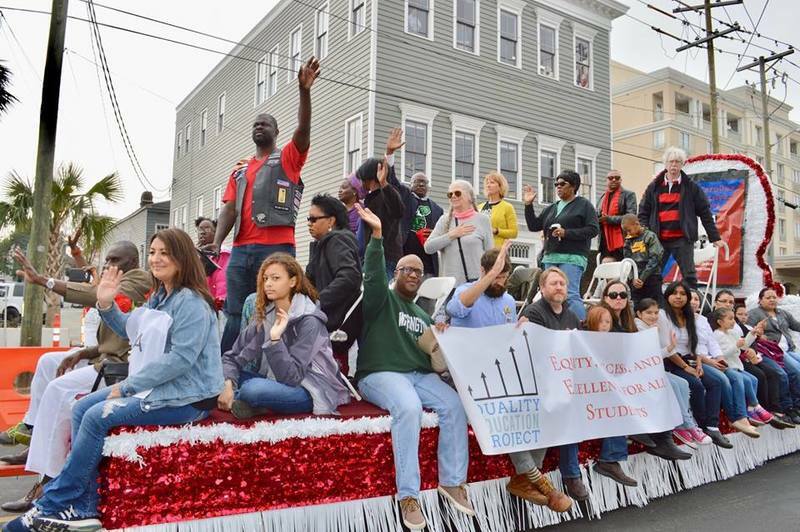 Parade, photograph by Kerry Taylor, Charleston, South Carolina, January 16, 2017. 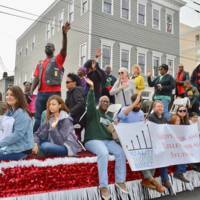 As part of Charleston’s 2017 Martin Luther King Jr. 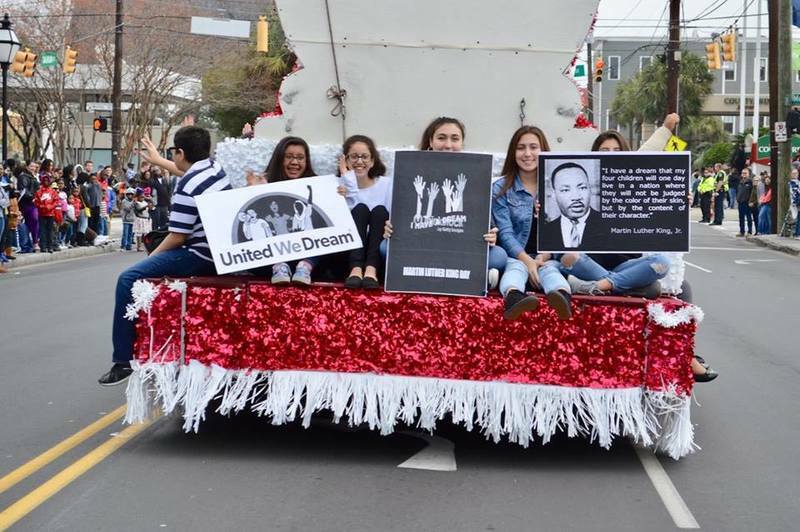 Parade, participants of the South Carolina Progressive Party float and other parade participants carried signs supporting the DACA program, connecting present-day immigrants’ struggles with the similar struggles for equality that are part of Martin Luther King Jr.’s legacy. 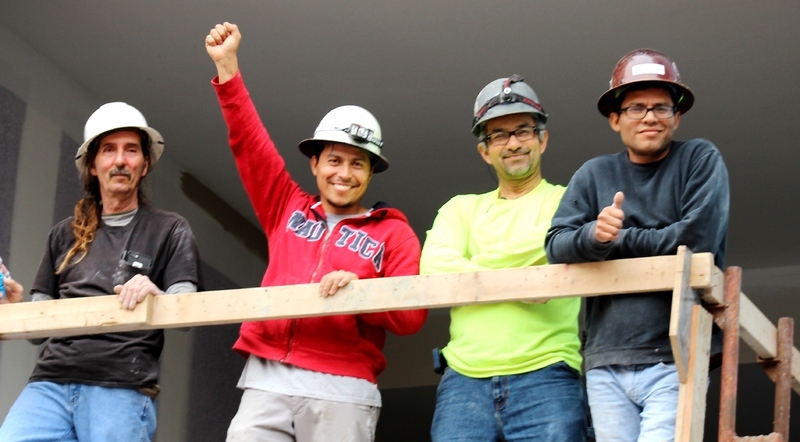 Latino construction workers watching the Martin Luther King Parade Jr., photograph by Kerry Taylor, Charleston, South Carolina, January 16, 2017. 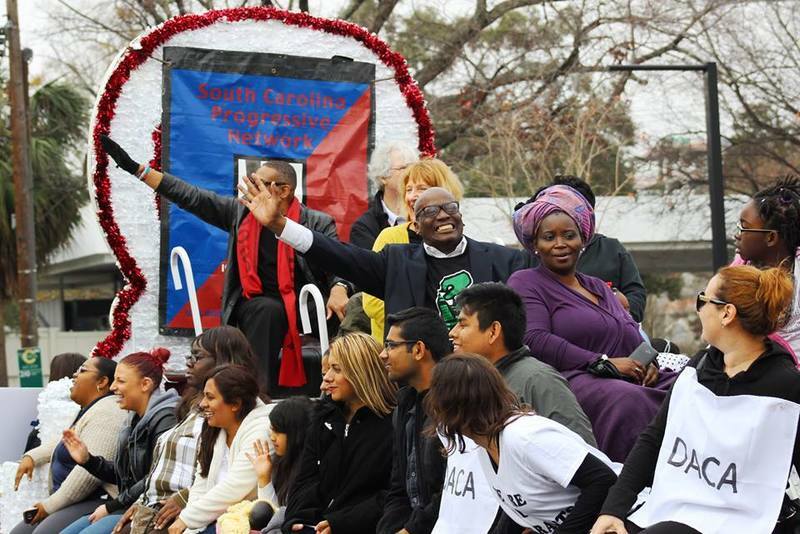 The South Carolina Progressive Network float stopped at a construction site on King Street. The workers there joined Latino parade participants in chanting, "Si se puede, si se puede," which translates to "yes, we can."